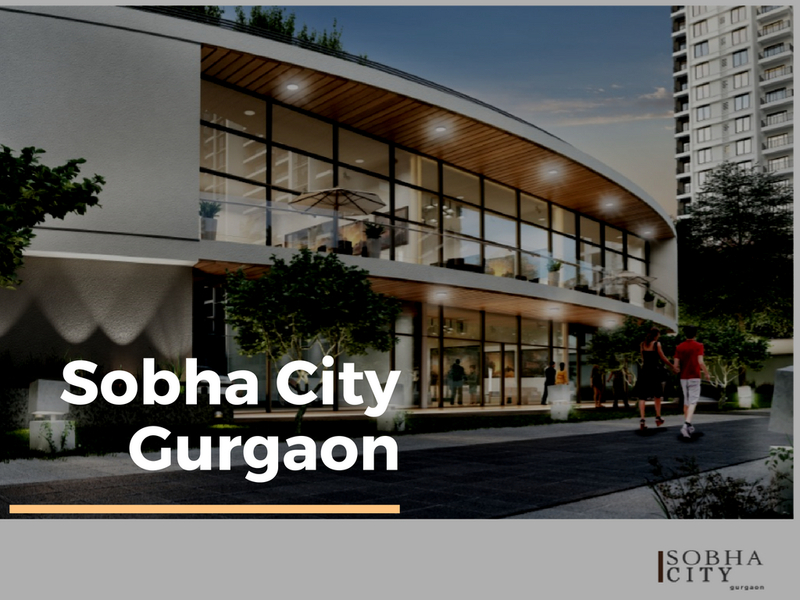 Sobha City Gurgaon in Sector 108 Dwarka Expressway - Sobha Developers Ltd.
"Get Exclusive Offer, Contact Us Now"
All of us crave for a happy and luxurious life? But what will constitute this? 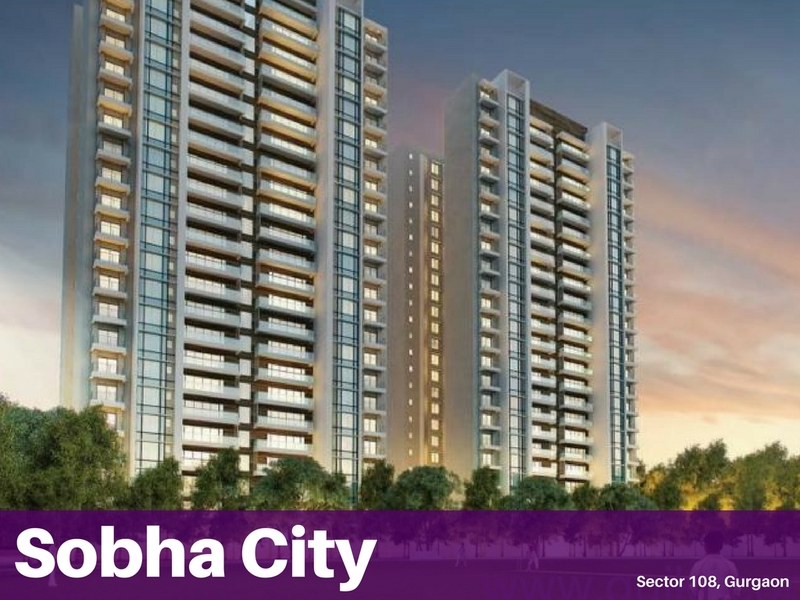 Welcome to the Sobha City that will definitely fit your idea of living a good life. This is an ultra-luxurious residential development designed to offer a grand living experience to the residents. This is one of the largest housing developments offering an impressive architecture and unmatchable amenities to elevate your living standard. Here you will feel natural in your surroundings as the complex is surrounded by the Delhi reserved green area giving you lush green panoramic views right from your apartment. 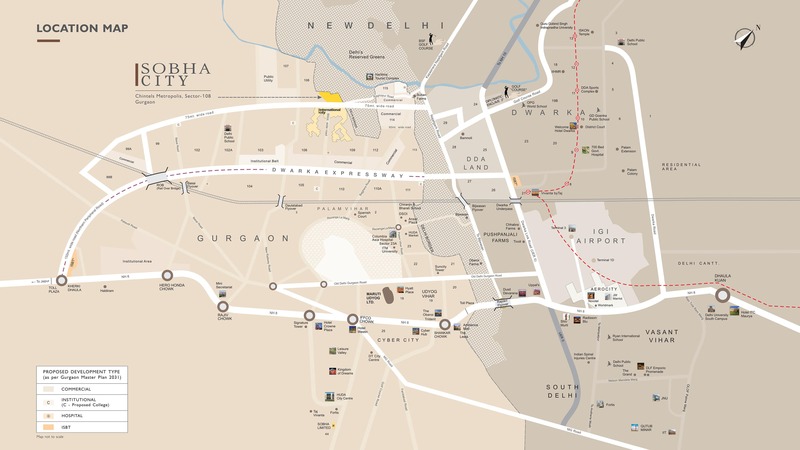 Sobha City Gurgaon is spread over 38 acres of luscious land in the middle of the tranquil territory of Sector-108. The development is brilliantly designed to make sure that you are indulged more in green and open spaces, more sports facilities and superb amenities for a comfortable living. These homes are equipped with all kinds of luxurious amenities that you have ever imagined. There are 25 towers in total in G+18 floor structure offering 4 units on each floor. There is a beautiful mix of 2 and 3 BHK ultra-premium apartments in superb designs. The size of these beautiful homes varies from 1381 sq. ft. to 2342 sq. 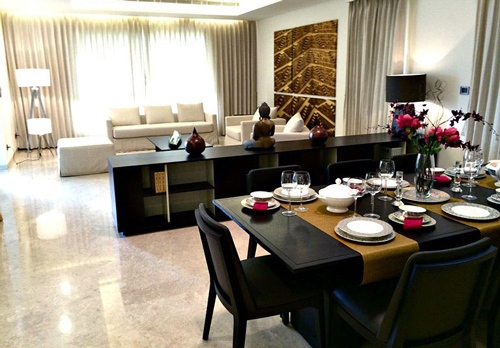 ft. Each abode is smartly designed and equipped with the world-class interiors. 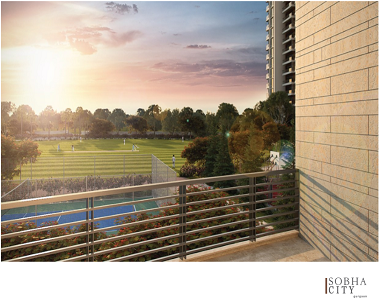 The towers are built in a way that ensures superb and uninterrupted views of the central greens. The interiors are carefully planned to keep in mind the taste, comfort, and expectations of the modern homebuyers. The thoughtfully planned apartments at the complex ensure proper space utilization and cross-ventilation of air and natural light. The exotic amenities at the complex are brilliantly added to the venture to offer an active and healthy lifestyle to the residents. The best-in-class amenities include 2 oval clubhouses, party lawn, walking and biking trail, barbeque and camping zone, kids’ pool and playing areas, indoor and outdoor sports facilities and more. Each apartment at Sobha City Sector 108 is linked to the security room via the intercom facility to ensure the safety of your family. There are no common walls in the apartments ensuring the privacy of your families. Located near Dwarka Expressway in Sector 108, this is one of the most sought-after residential projects in the region. The development comes in close vicinity to a number of major landmarks, educational institutes, medical facilities, lifestyle centers and more. The well-developed transportation system and a wide network of roads ensure easy and smooth commutation. If you are planning to invest in an ultra-luxurious property in Gurgaon, then this is the best option to enjoy good future returns. The price for the premium homes starts from Rs. 1.36 crores that further increases up to Rs. 2.44 crores as per apartment size and configurations. This is going to be a premium and luxurious property in Sector 108 Gurgaon ensuring good returns on your hard-earned money. You can book an apartment here by paying an initial amount of Rs. 500,000 and then 30% of payment has to be done after 90 days of booking and then rest payment is done as per the CLP plan. Associated banks are also offering home loan facility at lower interest rates for the convenience of buyers. 16 sports including tennis, basketball, volleyball, etc. Located at Sector-108, Dwarka Expressway, Gurgaon.